Alfred “Fred” Teumer was born on 11 February 1918 at Neustadt am Rübenberge in Niedersachsen. Teumer was posted to JG 54 based on the Eastern front on 2 December 1941. Leutnant Teumer was assigned to 3./JG 54. He recorded his first victory on 28 December. By early May 1942, Teumer had eight victories to his credit. He had increased his tally to 26 by mid-March 1943. On 4 July, Teumer recorded his 35th victory. 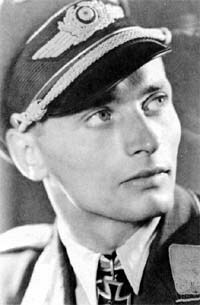 In July 1943, Teumer was appointed Staffelkapitän of 10./JG 54. He recorded his 44th victory on 3 September but was shot down and wounded in the engagement. Teumer transferred as Staffelkapitän of 2./JG 54 in December 1943.  In late April 1944, he transferred as Staffelkapitän of 7./JG 54, based on the Western front, performing Reichsverteidigung duties. He had 66 victories to his credit at this time. Teumer was shot down over Orne-Mündung on 10 June 1944 while flying Fw 190 A-8 “White 7” (W.Nr. 730 384) but succeeded in bailing out. Oberleutnant Teumer was awarded the Ritterkreuz on 19 August for 73 victories. On 25 September 1944, Teumer was placed in command of 2. Staffel of Eprobungskommando Nowotny flying the Me 262 jet fighter. Teumer was killed on 4 October 1944, when he crashed his Me 262 A-1a (W.Nr. 170 044) at Hesepe airfield following the loss of an engine. “Fred” Teumer was credited with 76 victories in over 300 missions. He recorded 66 victories over the Eastern front. Of his 10 victories recorded over the Western front, three were four-engine bombers.